Our camp is starting from the point where our beach ends. It is shaded by the eucalyptus trees. In beautiful summer days the wind coming from the seaside makes you feel fresh and let's you have a comfortable sleep at night. 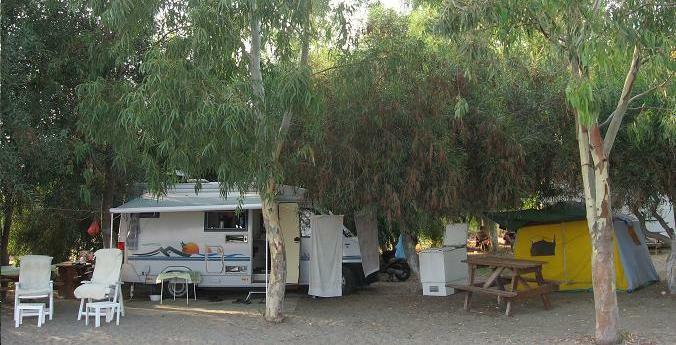 You will have a great camping experience and you will be able to make new friends in this lovely place. In our camp, enlightened with the camping lights, you will see people enjoying traditional Turkish music and it is also possible to see youngsters having fun with their guitar. Facilities excluded Refrigerator are included in the camp fee.